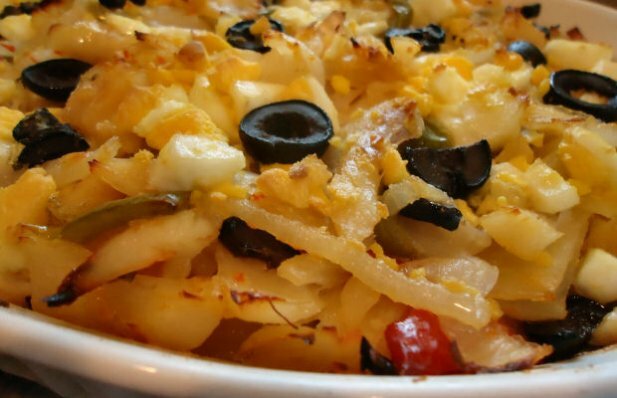 How to make Portuguese style cod with onions, peppers and black olives. If you are using dried, salted Portuguese Cod, soak it overnight, changing the water twice. Bring a pot of water to a boil and reduce heat to medium-high. Add either the soaked Portuguese Cod or the regular fresh Cod fillets. Boil gently for about fifteen minutes. Drain the fish, but save the water it cooked in. Shred the fish into large chunks, removing bones and skin and set aside. In the water the Cod cooked in, place the potatoes and bring to a boil. Reduce heat and cook till tender. Drain and set aside. Grease a 2 quart baking dish and layer half of the cooked potatoes along the bottom of the dish. Spread with half the cod and onion mixture. Sprinkle with half of the chopped eggs. Drizzle generously with olive oil. Repeat layers, finishing with another generous drizzle of olive oil. Bake uncovered for about 30 minutes or until the top is golden brown. Enjoy! 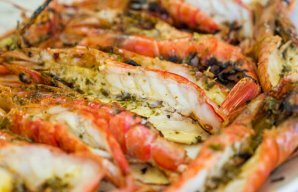 This amazing Portuguese grilled butter and garlic shrimp recipe (receita de camarão grelhado com manteiga e alho) is perfect for any time of year. 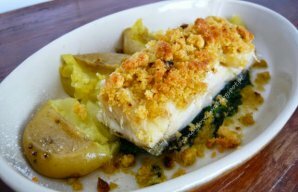 Try this delcicious Portuguese baked cod with olive oil and corn bread (bacalhau com azeite e broa) and you will cry for more. 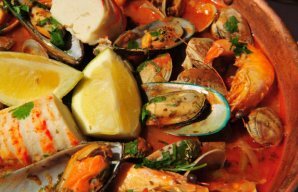 Learn how to make this delicious Portuguese fish and seafood cataplana recipe (receita de cataplana de peixe e marisco), very popular in the Algarve region.